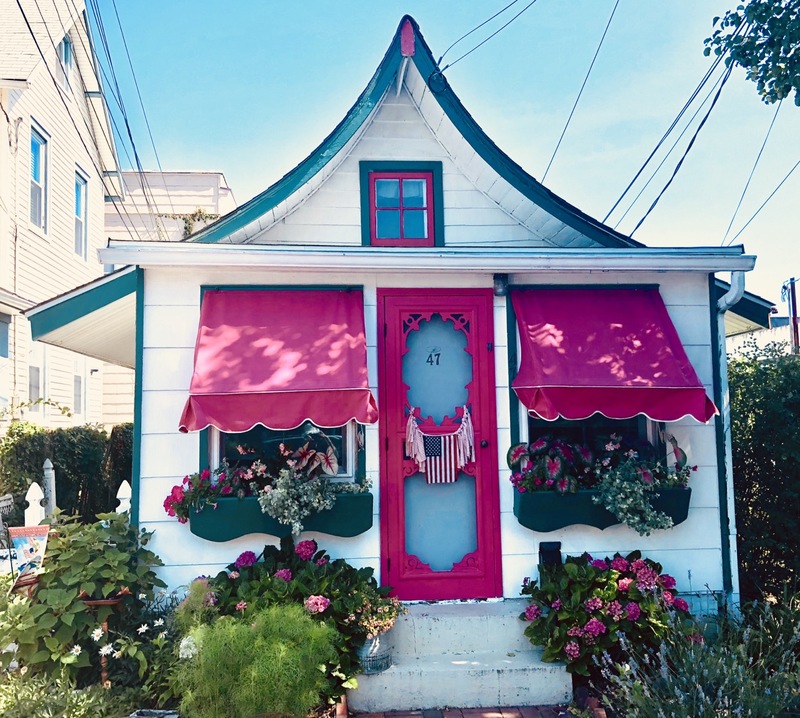 Ocean Grove Jewel: 47 Heck Avenue. This cottage was first built on the North End by the OGCMA and used as a tool shed in the early 1870’s. It was then moved to Main Ave and used as a ticket booth for the Circle Bus Line than ran in O.G. and then moved to the back of the lot facing Heck Ave where it stands today. It is one of about ten cottages built in the style of a tent that have survived in the Grove. We have a contest winner. See comments below.